or at least more of the color yellow! I really love the combination of soft colors with strong brights in this season's Pantone Spring 2014 top 10 color report...what I really love best is that yellow (freesia on the report) is listed as a favorite color! Yellow has always been my go to color whether I am decorating my home or picking pop items for my wardrobe, I always find myself in the yellow hues. It is just such a happy and fun color. Here is an inspiration board I created from bright sunny yellow to softer mustard colored items. Another trend I have noticed among my brides is the use of yellow on their big day. My husband and I had yellow as our pop color on our wedding day almost 5 years ago and I loved the way it popped in photos. Here is a wedding that I adore courtesy of The Perfect Palette...check out those lemon macaroons! To be honest yellow is my favorite candy/dessert buffet to design for, not only because its my favorite color but because the candy choices in this color are endless. So although we are still in frigid temperatures and weeks from spring, I hope this post brings some sunshine into your day! Something about this time of year makes me think of and crave apples! Growing up my grandma would make me the most amazing apple crisp that she paired with vanilla ice cream...the combination was nothing short of amazing. I still request the apple crisp from my grandma quite often and even in her old age she ALWAYS makes if for me and with each time it is tasting better and better. Part of the reason I think it is such a special dessert to me is because I know it is made with such love! Another favorite thing of mine in the fall are the amazing hot cider recipes you can find. Now with Pinterest you can find some really unique ideas of things to make with apples, another reason why Pinterest is my new best friend...it gives me such creative ideas that I would have never thought of on my own. I have noticed that with the growing popularity of a s'mores buffet and other unique dessert options at events, caramel apple buffets are also getting some love and attention! There are so many great different options of toppings for caramel apple buffets: heath bars, nuts, crushed vanilla wafers, reese cups, the list of options is endless and so yummy! This is such a fun and great idea, although like with the s'mores buffet it can be messy so I highly recommend an attendant to help with the clean up. Here are some great finds I found using apples as the main ingredient. See bottom of post for an easy and yummy dessert recipe, enjoy! This is one of the cutest apple displays I have seen, LOVE it!! I love the rustic idea of using real sticks to hold the apples. Click below photo for the recipe! Because bride's and planners today are so very creative and continue to think outside the box with planning and decor, the idea of using buttons in weddings and events has been born and we LOVE it! I feel it gives the wedding that unique, vintagy theme that allows it to stand out from the everyday wedding you may attend, without breaking the bank. This is seriously an idea that anyone could use and the options on how to do so are up to you, so many crafty ideas. Check out the below photos for inspiration and "button" away!! Cupcakes and wedding cake with the added button detailing in chocolate...amazing! Button bouquets courtesy of this awesome Etsy shop...I love supporting small business owners!! Yesterday, while I was doing my weekly pinteresting (is that even a word?!) 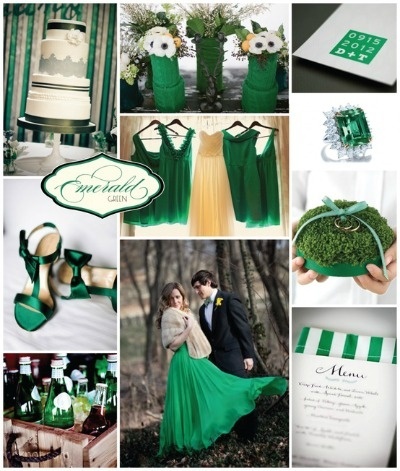 I came across this really fun read about 2012 wedding trends. It did not really surprise me that rustic weddings are on the rise, they seem to be everywhere these days and are so fun to find decor for. Going with the popularity of rustic weddings it makes sense that a lot more weddings are outdoors along with the most popular colors being so earthy. I personally love all the new wedding trends and adore that more bride's are stepping outside the box to create a wedding that is unique and perfectly reflecting them as a couple! Also, I have to note that candy is still up there for popular dessert options...yay!! I have found the cutest candy buffet alternative that I must share! A s'mores buffet...this is so fun and while it could be a bit messy at a large wedding/event without an attendant cleaning it up or supervising, it is perfect for: birthday parties, engagement parties, baby showers, bridal parties etc... The best part it looks so easy to do and you can also include other complimentary desserts to make it more of a dessert bar. 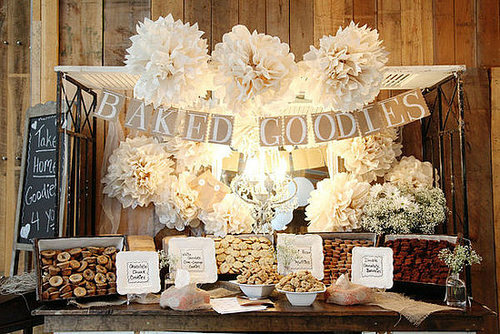 I also love how it looks while displayed and the below picture of s'mores edible favors is so adorable! If you are interested in doing a s'mores buffet for your event but do not want the hassle of setting it up, call Dulce Designs to help! Stargazing Ask guests to bring binoculars, then print sky maps (go to wunderground.com and plug in your zip code). Serve space-inspired food, like Big Dipper guacamole and MoonPies, alongside traditional BBQ fare. DIY Movie Theater Hang a white sheet on the side of your house and rent a projector. Then set up lounge chairs, blankets, and bowl of popcorn and play a warm-weather film like Grease. Summer Olympics Assign guests to teams and have them compete in events like three-legged races. Prepare some Greek dishes in honor of the first games. Note: This article was found in Shape's July 2011 issue, page 53. Anthropologie is one of my very favorite stores. Whenever I am at any mall that has it I have to go in, even if I do not buy anything, I just love to look! They have the most amazing household items and their clothes/shoes are beautiful and very vintage. I am absolutly in love with the volcano candle that they sell there...I have them everywhere in home!! My favorite thing to check out is the sale and clearance section they have...that is the best time to get things because other than that some items can be a little pricey. So because of my love for this store it would only make sense for me to adore their new bridal line that launched this past February...it is called BHLDN. They have some truly unique items and is a perfect bridal collection for that vintage bride that likes things just a little different. They have a little bit of everything: wedding dresses, shoes, lingerie, bridesmaid dresses and alot more. I also found out that they are adding even more great items soon, cake toppers and favor items etc... Check out the website to see more about this great store. Also, be sure to check out the explore section at the top of the site. They have a tab called Nuptials of Yesteryear where they have found great old photos of weddings long ago...it is great to see what the styles were like then and how much they have changed today.